Here you can find information on investments including real estate investments, stock investment, and gold investment. At Dwayne Graves Online, one of our goals is to provide you with top notch investment information. We also provide business information and solutions for entrepreneurs and small business owners. Some solutions include business startup, business funding, and online marketing. When you look through the website, you will find tons of helpful articles and resources. With investments, there are various options and a lot of information to learn. Some of the major investment choices include real estate, stocks, and gold. The U.S. dollar is no longer based on the gold standard, but gold is still a popular investment vehicle to hedge against inflation. When the dollar is unstable, investors turn to gold for it’s stability. You can learn more about this in our articles. So definitely, take some time and browse our review articles. Beyond our investing articles, you can also find many other helpful articles and resources for starting and growing a business. You should visit the Business Resources page and the Recommended Reading List . The resource list contains 25+ resources that can help or supercharge your business. In the book list, you will find recommended books that I read in my first year in business that really helped me. You will also find many other top business books from the top mentors that could help you in business. Make sure you sign up for the free newsletter and get 30 Days of Business Training for Free. You will also be able to learn more with business tips and will know when new articles are available. The newsletter is a valuable resource that you can access for absolutely free. Click here to join the newsletter and start your free training today. Web Hosting Comparison: Which Is Best For Your Website? 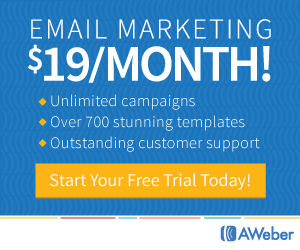 Landing Page Free Trial – Try The Software Before You Buy! Landing Page Builder Software To Create Great Pages Quickly!